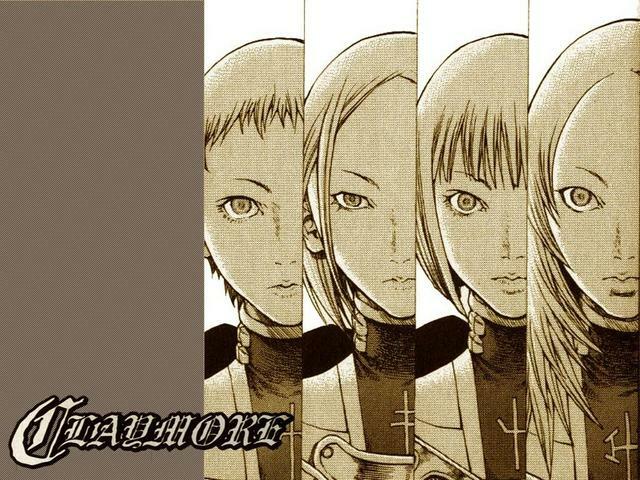 For the fans of the anime, game and manga Claymore! Favourite Creature of the Abyss? People, check this club/thread if you want to get some Claymore figures to be made! Make your voice to be heard! Rejean235 (hace 3 años) #4533612No, unless someone decides to remake the story. The old one dates and the story is about twice as long as it was when the anime was made. Doing a season two would not mase sense as the authors changed the end in the anime. I've got the MH Clare, she was a good figure at the time. I also have the Beat one, she's not as good. And by the way, for those who don't know, there is a petition for a Claymore 2 continuation/reboot here, you can sign to make it happen! Spread the word!! takezor (hace 3 años) #4532788...After that many years I don't think it's possible that a company picks this show and starts making some characters, isn't it?No, unless someone decides to remake the story. The old one dates and the story is about twice as long as it was when the anime was made. Doing a season two would not mase sense as the authors changed the end in the anime. I've got the MH Clare, she was a good figure at the time. I also have the Beat one, she's not as good. Another Claymore fan here!! I watched the anime like 3 months ago and loved it. I got so hooked up that I had to buy the manga and continue reading the story. I currently own the first 16 volumes (tho I have only read the first 12). I may also get the Memorabilia artbook at some point, I saw some pics and it looks to be quite good. And by the way, imo the Manga > Anime. I hate there are not enough figures of this amazing series. Only some small busts and a good size 1/8 Clare by MH that is really pricey nowadays and I'm not too fond on it. After that many years I don't think it's possible that a company picks this show and starts making some characters, isn't it?? Rejean235 (hace 7 años) #676116. We could get great figures as Miria's group now have different dresses/armor. I'd love to see a figure of Galatea in her nun's dress half ripped holding her claymore. Yes, we need the Deserter Costumes as they look so cool (I see them as Sith like compared to the Claymore costumes as they are no longer "controlled"). We also need a Raki figure from the Manga as he's changed a lot too. abyssusGuys I'm so happy! I finally managed to get my hands on the limited Teresa figure! WEEEEEEE I never thought I would :DGrats!